Motorcycle riders using lights at all times, even during the day. 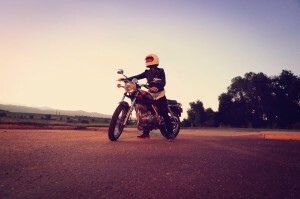 A guide from Consumer Reports emphasizes that, while not all states require motorcyclists to wear helmets, a helmet is indeed required of all riders in California. Wearing a DOT-approved motorcycle helmet is not just an important safety decision—it is also the law. In 2013 alone, according to the GHSA, more than one-third of all deadly motorcycle accidents involved riders who had been speeding. If you or someone you love suffered serious injuries in a motorcycle collision, an experienced San Diego motorcycle accident lawyer can help. Contact the Walton Law Firm today to learn more about our services.